Peter Tesar Architectural Design - Safety, Safety and a Little More Safety... That's What I Detect! Safety, Safety and a Little More Safety… That’s What I Detect! Do I dare breach the boring subject of detectors? However, until you actually have had the necessity to rely on one you will never really appreciate the possible security they can offer to peace of mind as well as the simple safety aspect. Building control within the local authorities are generally completely on the ball with this element of regulation, which ever county you deal with. There are fewer elements of safety that can have such a huge impact at such a minimal cost than these items. Smoke detectors – these are general detectors that sense smoke of all descriptions even the burnt toast variety! 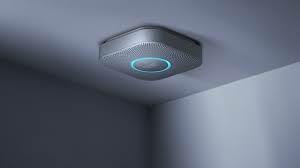 They will detect smoke generated by flaming or smoldering fires. CO ( carbon monoxide ) detectors – these detect and warn people about dangerous buildup caused by possible fuel burning devices, such as boilers, wood burners. Heat detector – this is a fire alarm device designed to respond when the convected thermal energy of a fire increases the temperature of a heat sensitive element. They are generally positioned in specific rooms where smoke detectors should not be installed and offer a valuable early warning. Of course all of these are down to individuals as to which they choose to install, if any however, if work is to be carried out which requires the input of building control then they will enforce such important measures within the work schedule to meet compliance. Approach a local building designer/architect. Contact your local building control office. Simply use the power of the internet and put the relative question into the search engine. Be ahead of the game and do your own detection work.